What Career Should an INFP Choose? Have you found out that your personality type is INFP (standing for Introversion (I), Intuition (N), Feeling (F), Perception)? Perhaps you learned you're an INFP from a career counselor after he or she administered the Myers Briggs Type Indicator (MBTI) or maybe you determined it yourself after reading about psychiatrist Carl Jung's personality theory. If you've never heard of Carl Jung and his personality theory or the MBTI, here's some background. The MBTI is based on Jung's theory, and it is often used to help people make career-related decisions. Career experts believe that knowing what your personality type is can help you choose a career that suits you and lead you toward the right work environment. In a nutshell, experts use this instrument to help you learn what your true personality type is and what career will make you happiest. According to the theory behind the MBTI, your personality type is made up of your preferences for how you do things, how you feel energized, how you perceive information, how you make decisions, and (in general) how you live your life. Individuals energize through Introversion (I) or Extroversion (E), perceive information through Sensing (S) or Intuition (N), make decisions by Thinking (T) or Feeling (F), and live their lives by Judging (J) or Perceiving (P). Jung theorized that while we each exhibit aspects of both preferences in each pair, we display one preference more strongly than the other. The four-letter code assigned to your personality type is derived by putting together the four letters that correspond to your stronger preferences. Here's a deeper look at what your particular four-letter code means. I: You prefer introversion. In other words, things within yourself, such as your thoughts and ideas, are what energizes you. You tend to be quiet and reserved. This could mean you don't like to risk interacting enough with others. N: You process information using intuition, or insight. You don't have to have physical evidence of something to know it exists. You consider future possibilities and look for patterns in details to see how they affect the big picture. If a new opportunity emerges, you are inclined to take advantage of it. F: Your feelings and personal values guide your decisions. If you feel strongly about something, you may not consider the consequences. You are a caring person who is adept at understanding others. P: You are flexible and spontaneous, and you tend to take life as it comes. You are curious and you want to be able to explore. This means you aren't much of a planner and often deadlines approach more quickly than anticipated—this might leave you rushing to finish projects on time. It's important to realize that these are only your preferences—they aren't set in stone. While you may prefer to energize, process information, make decisions or have a particular lifestyle, you can change how you do things if necessary. In addition, your preferences can change as you mature in life. Knowing your personality type can help you make career-related decisions including career choices. You should also take your personality type into account when deciding whether a particular work environment is right for you. Working in a high-powered finance job on Wall Street is quite different than working for a non-profit environmental group. Even though all the letters in your code are significant, when it comes to career choice, the middle two letters are the most important. Your middle letters "N" and "F" indicate that you should look for occupations that let you develop and implement new ideas. This would let you take advantage of your preference for looking toward the future—and the possibilities that exist there. 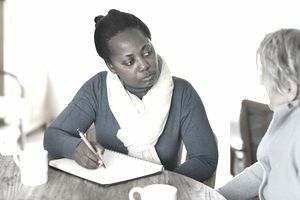 Because your feelings and values are important, you may be well-suited for a career as a psychologist, mental health counselor, librarian, interpreter or translator, dietitian, physical therapist, occupational therapist, teacher, actor, graphic designer, social worker, or writer and editor. You should consider your preferences for "I" (introversion) and "P" (perceiving), especially when evaluating work environments. As someone who experiences motivation from within yourself, you would probably enjoy working independently—perhaps as a freelancer or in a full-time remote job. Be attentive to your need for flexibility and your difficulty with meeting deadlines. If you pick an occupation that is typically oriented toward having to meet constant deadlines (like a media expert or publicist) that would present a challenge for you.